Ever since we’ve seen Incredibles 2 in the theater, my son has been asking weekly if it was released on DVD/Blu-Ray. He could not wait to own it and watch it again. It was all he talked about. How do you think he felt when this amazing Game Night Kit showed up at our door? It had been a long weekend spent away from my babes doing work things and it was time to reconnect and spend some time. These amazing Incredibles 2 themed games and activities were perfect for our Sunday evening! We ordered pizza, popped in the Blu-Ray and got started! My little’s squeals over the theme music is what I’ll remember most! 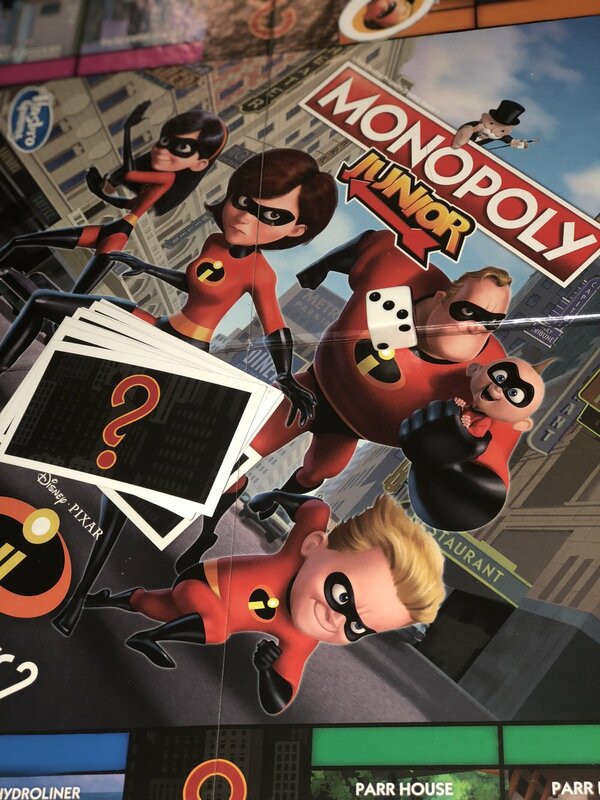 We are a board game family to our core and the Incredibles 2 Monopoly Jr. game is amazing! We’re familiar with Monopoly Jr. But this special edition is the perfect addition to your Incredibles 2 movie purchase! Needless to say, my littles and I had a ball! I remember watching the first Incredibles long before having kids, so it’s amazing to me to watch it with my kids as well as the highly anticipated second installment! So cool!